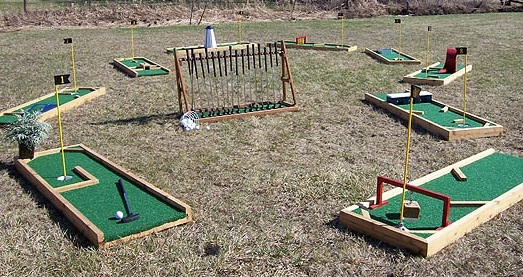 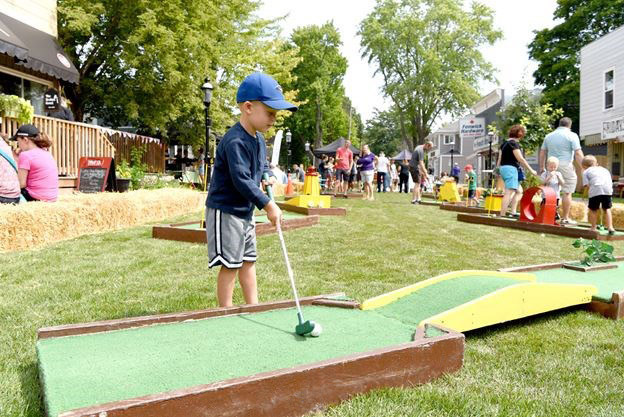 Rent our portable 9 Hole Mini Putt Golf Course! 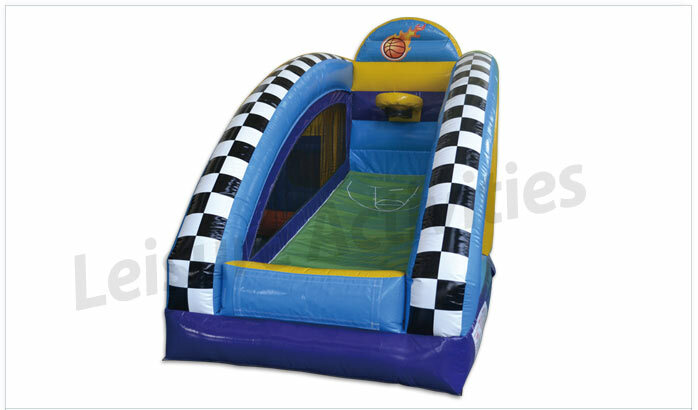 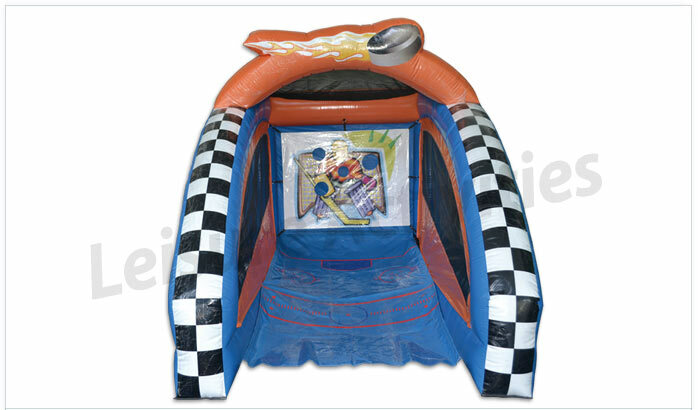 Complete with 9 separate holes, with different obstacles and ramps, and even a loop-de-loop! 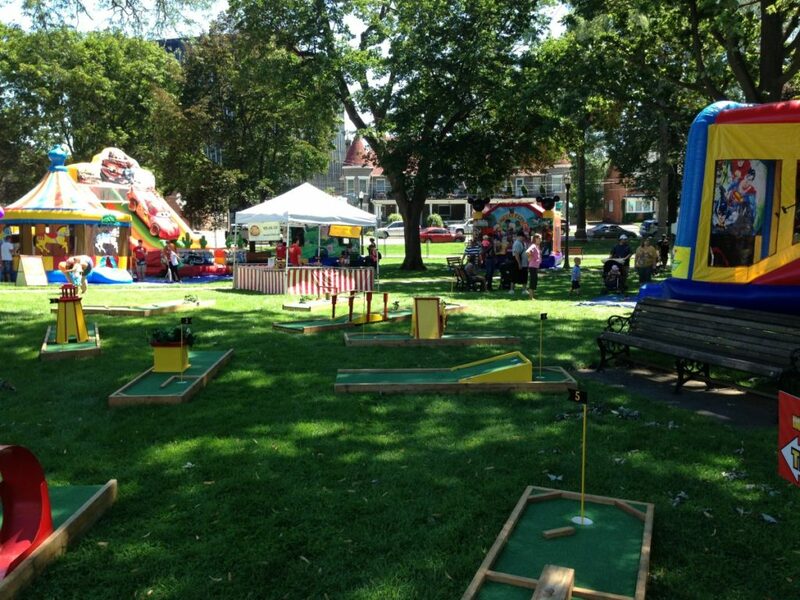 You will imagine yourself playing Augusta while trying this fun, exciting course! 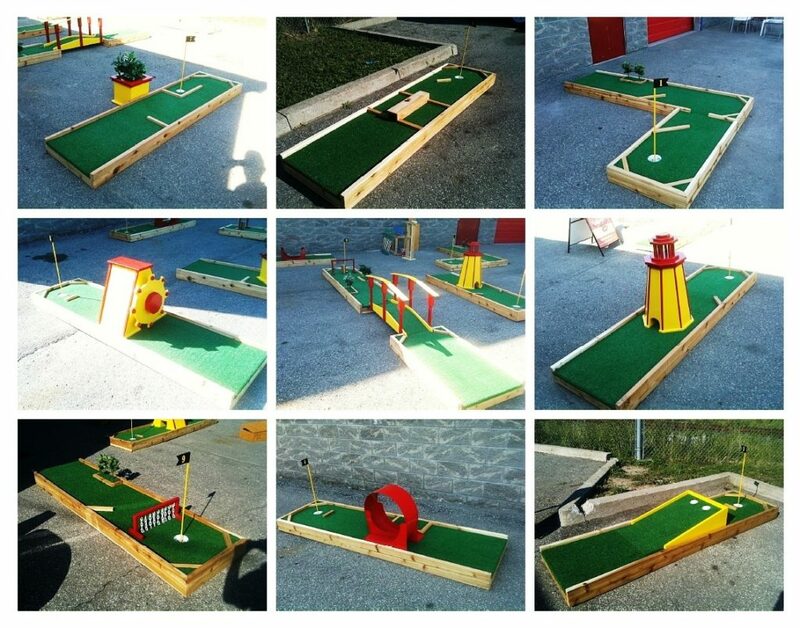 Comes with Putters, Golf Balls, Score Cards and 9 professional holes!